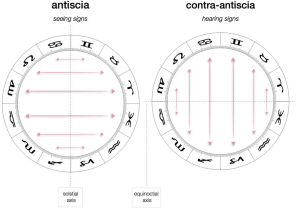 Antiscia and contra-antiscia are symmetrical arrangements around the cardinal axis or Aries point (i.e., the solstice and equinox axis). 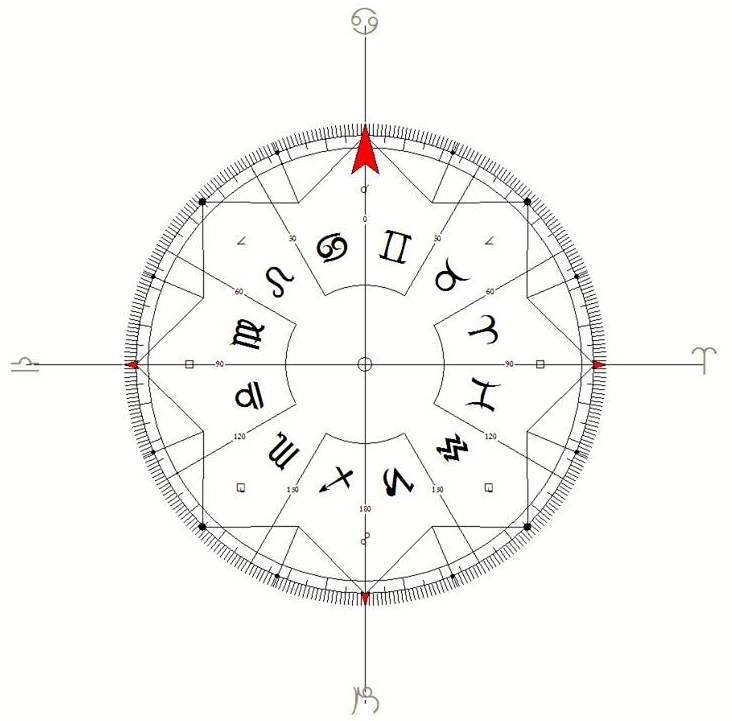 Observed for at least two thousand years, these planetary statements are easy to find and a valuable addition to any astrologer’s toolbox, including for charts with no known time. 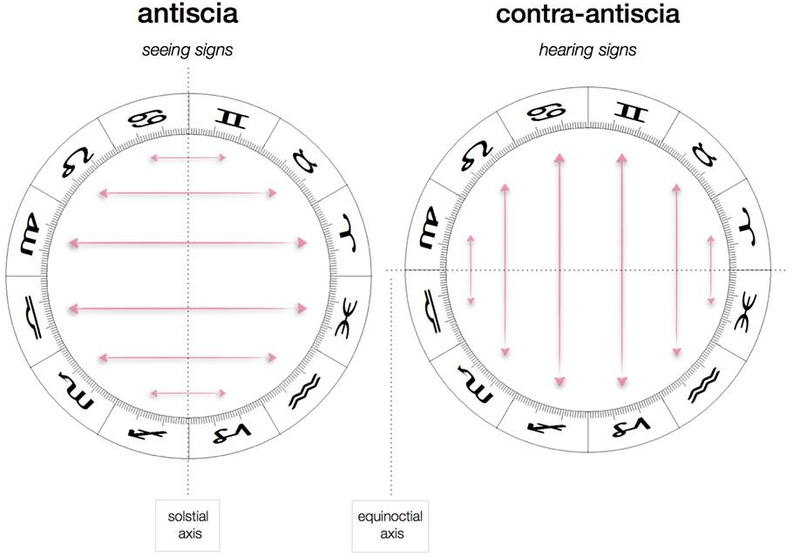 Favored by Symmetrical (Uranian) astrologers and used by Hellenistic, Persian, and Medieval astrologers, planets and angles in antiscia indicate connection and undeniable expression in the world. In this multimedia presentation you will experience their potency through charts of artists, musicians, athletes, politicians, actors, and astrologers. 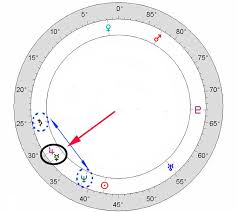 Midpoints in the chart are a powerful factor in illuminating major themes and events in a person’s life. They are precise measurements which convey psychological traits, ways of being, activities, interests, and attractions, but interpreting them can be complex and nuanced. 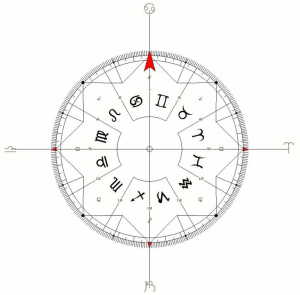 While working with midpoints is considered an astrological innovation and may be new to many people, its roots in the form of using symmetries reach at least as far back as the Hellenistic era (via the Lots, aka planetary pictures). In this workshop you will learn to identify and derive meaning from midpoint structures in a chart, as well as determine which are most essential and what to prioritize in predictive work. This is a hands-on practical session, and attendees will be guided in using 360 and 90 degree dials and other tools to work with their own chart during the workshop.